As stated in the title, I'm back. Ah well, class gonna start very soon, 27th July. I guess I gotta readjust my sleeping hour, my sleeping time has been interrupted within 26 days in West Malaysia, sleep later by 3-4 hours. Worst of all, I've to start squeezing my rusted brain, again! 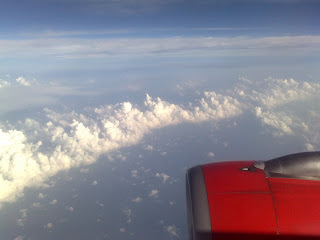 Anyway, during my journey back to Miri, I took 2 shoots of a humanga-danga 'wave' of cloud from the Air Bus of AirAsia. 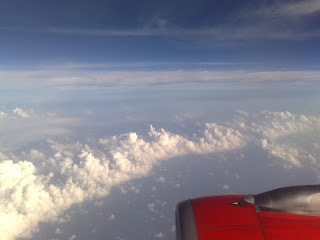 To me, it looks like a desert of cotton candy! Here's the pictures, click to enlarge the image.